NEW – DJI Phantom 3 SE – The Best Budget 4K Drone? The DJI Phantom 3 series, first released in April of 2015, set a new standard for what was expected of a consumer-level Camera drone. Even at the original price of $1259, the Phantom 3 Pro was head and shoulders above anything in its class. The P3 series is still widely used today – although officially all models other than the $499 “Standard” (lowest end) model have been discontinued. However, DJI has decided to introduce a new (updated) model of the Phantom 3 to the US Market. DJI has been very quiet about the launch of this new model – in fact, I had to email the company to find out if it truly was a new model or just a renaming of an older model which was called the “Phantom 3 4K”. They assured me that this is a model which is updated and upgraded and hasn’t been sold in the US until now. For that price you get a top notch 4K capable camera, the VPS (ground sensing) system and a new upgraded wireless connection which increases the range to as much as 4KM. Note – we suggest cutting these maximums by 50% for your use in most normal situations….but, realistically, even 1 KM is fine for most of what consumer camera drones are used for. What it does NOT have is the “lightbridge” DJI system, which is an advanced wireless protocol…with longer and more reliable range (in many cases). The P3 models are quite mature and reliable and many pilots may not need the advanced features in more expensive models (obstacle avoidance, etc.). Commercial pilots (Part 107) often desire a “backup bird” in case something happens to their primary camera drone. The Phantom 3 SE seems perfect for such uses. The Phantom SE (Special Edition) is a well kept secret – but it shouldn’t be. You can buy a cheaper Phantom (DJI Standard…refurb and/or new is $399 to $499) – but you would be missing out on a number of features, most importantly the extended range and better camera. One might say this is the “Toyota Corolla” of consumer camera drones. It does the job which is asked of it and is reliable and a good value. The Image Quality is on a par with the Phantom 4 (plain) and exceeds that of the Mavic Pro and Spark. With the purchase of a 2nd battery and a case/backpack you’ll be ready to go “pro” for about $700 brand new. 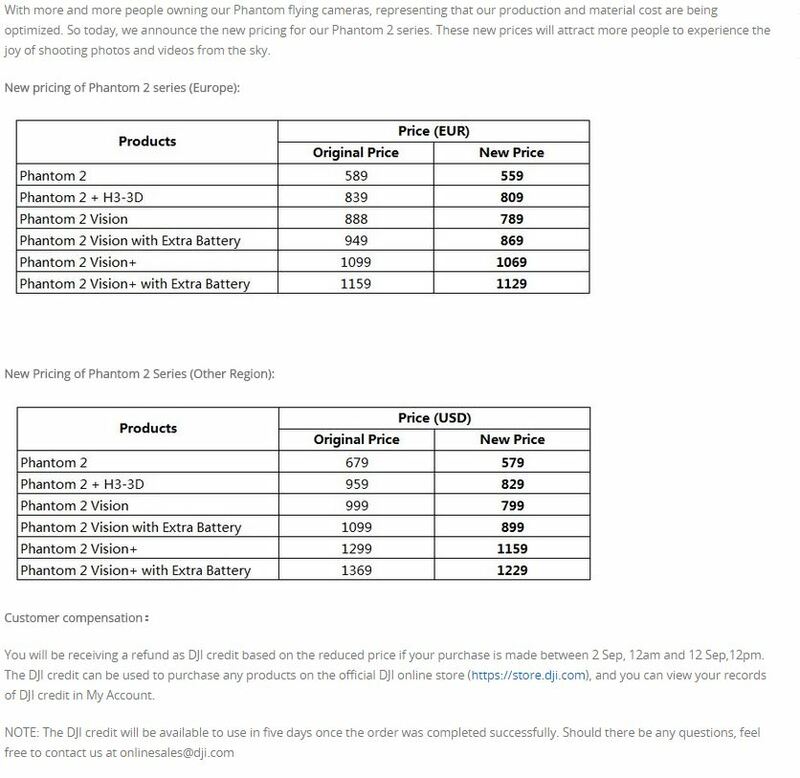 Note – at the time of this writing the Phantom 3 SE is not listed on Amazon, so you’ll probably be best off ordering direct from DJI at this link. Note that the downloads and specs tabs on that page will offer further details on this new budget 4K model. We first reviewed the Phantom 2 Vision + last summer – see this article. Since that time, DJI has done a major upgrade to to motors, propellers and transmitter. The new version is usually named “V3.0” and represents, in our opinion, the most mature RTF Video and Photography hobby quadcopter on the market today. This model is by far the largest selling quad of it’s type in the world. This being the case, we decided that a longer term review on a newer model would be of benefit to our readers. I purchased a new model V3.0 in February of 2015 and am starting to put this bird through it’s paces. At the same time, I am trying to take my own advice (given in our books and many articles here) and be very careful and conservative in our operation…I want to pamper this Phantom so that it survives and serves for as long as possible! I purchased the unit direct from DJI so as to make certain we were getting the latest model. The units were/ore on sale for a discounted price of about $1170 shipped with 2 batteries. Current pricing (DJI has a Spring Sale on as I write this post) can be found at the DJI Site, Amazon or your favorite DJI dealer. 1. I purchased and installed a “gimbal protector” which holds the gimbal together in the event of a crash or very rough landing. I purchased the Phantom Fix 2 model, although there are other units also on the market. 2. A camera-gimbal protector was cut from a piece of sign plastic and installed flush with the bottom of the landing gear. This also helps protect the very sensitive gimbal in the event of a hard landing or contact with any object from below. 3. Although I purchased prop guards, I did not install them yet – preferring to get the feel of the flight manners of this new version without them. DJI Phantom Quadcopters – Prices reduced dramatically! DJI has improved the Phantom 2 series with better props, motors and a new Transmitter – as a result, the prices of the new models have crept back up again. The older models are available at a steep discount on Amazon and elsewhere – however, for more flyers we suggest you go for the upgraded (more stable, better payload) models. You can be sure of getting the new models by at this link. ” target=”_blank”>buying direct from DJI or other known seller. DJI is having some Black Friday Specials – also, they tend to give some deals (free extra battery, etc.) as we go towards the Christmas holiday seasons. Check this DJI link or Amazon for current prices and specials. Breaking news – important enough for a blog post. Prices of all DJI Phantom 2 models have been reduced – some by 100’s of dollars. An image of the new prices is posted below. As one example, the top of the line Phantom 2 Vision + has been reduced from $1350 (appox) with one battery – to $1229. with two batteries. Valuing the extra battery at $100 (they cost more), that’s a savings of $220. Here is a link to that particular model. The bare Phantom 2 as well as the unit with a gimbal are also reduced. You can see all the models and prices by going to the Amazon Drone Store at this link. Note – your favorite retailers online and around the world should also show a reduction in price – as this is official from DJI. BUT, before you take off with that machine, here is some advice which may help your drone last much longer. It’s a simple modification called the zip tie mod. You’ll find many examples of it by searching the web for “AR Drone zip tie mod”, but let me simplify this for you. 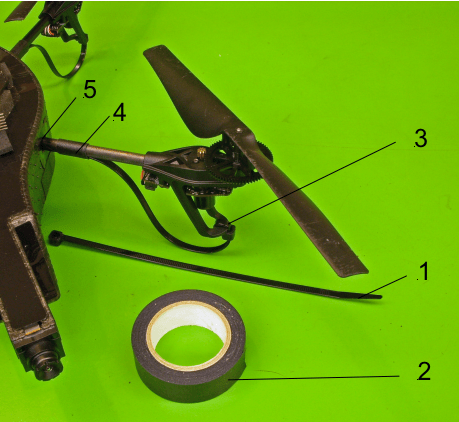 Note that the AR Drone feet are hard plastic and also contain a number of sensitive parts, including the motor and a circuit board. A hard landing, which you will have MANY of, will eventually damage some of these components or even break the AR Drone cross frame. You can purchase custom foam landing covers on eBay, but IMHO the zip tie or similar mod will work better due to the better “give” of the material on a hard landing. The mod is done using fairly long (cable) ties – start with some which have a length of at least 12″ or more and cut to size. Try not to use very heavy ones, as thinner ties add less weight to your quad and also will function a bit better as shock absorbers. With kudos to some who have come before me, here is a pic from parrot forum users Candu1 and UFO Doctor, who made these mods years ago and actually tested them scientifically! 1. Obtain cable ties and electrical tape. 2. Put tie around bottom of landing feet and pull tight. 3. Place end of tie (it may help to cut a point onto it) so it enters the hull right where the cross arm does – only insert in a small amount (1/2″ or less). 4. Wrap a small piece of electrical tape around the zip tie and crossarm to hold the tie to the arm. Since the devil is always in the details, let me remind you of some issues…. 1. Make sure the quad is perfectly level after installing these! Set it on a known flat surface and measure from the ground to the original landing feet. If you don’t do this right, your quad will be incorrectly calibrated when it boots up! 2. Don’t use too much tape – in fact, I might suggest cutting the tape in 1/2 lengthwise in order to save weight. If the tape breaks on a hard landing, that generally means it helped in shock absorbing – and it’s cheap enough to replace! 3. Some folks use small zip ties instead of, or in addition to, the electrical tape. Once your AR Drone has this modification, it will be superior in just about every way – it will be able to land and take off in taller grass and on rougher surfaces also! The one caveat is that, if you tend to get your AR Drone stuck in trees often, that the zip legs can get hooked on branches and make it harder to recover. This is yet another reason for not using too much tape to secure the tie to the cross arms! A basic video of this modification is shown below. Note – below are the Amazon links for the AR Drone and some popular replacement parts, batteries,etc. 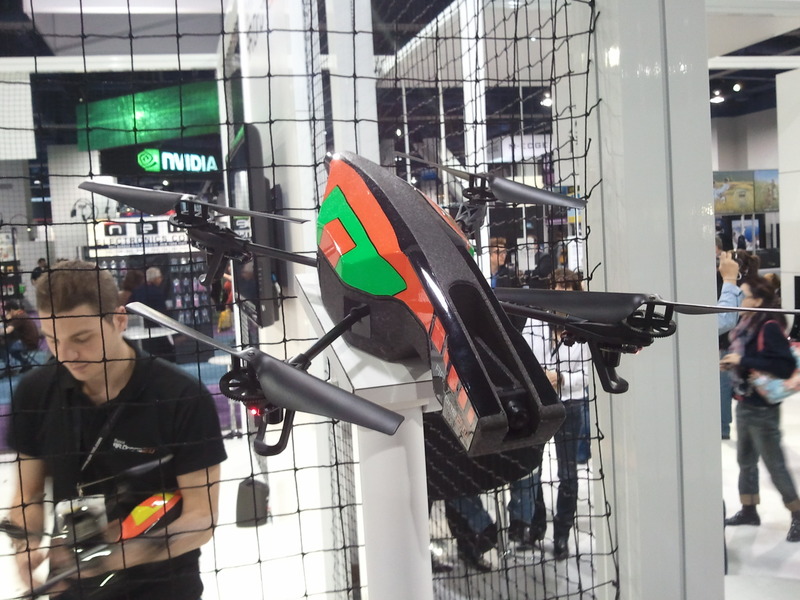 I got a chance to sit down with the folks from Parrot at CES and ask them about the AR Drone 2.0. Unfortunately, for existing AR Drone users, there isn’t a whole lot of good news to report. 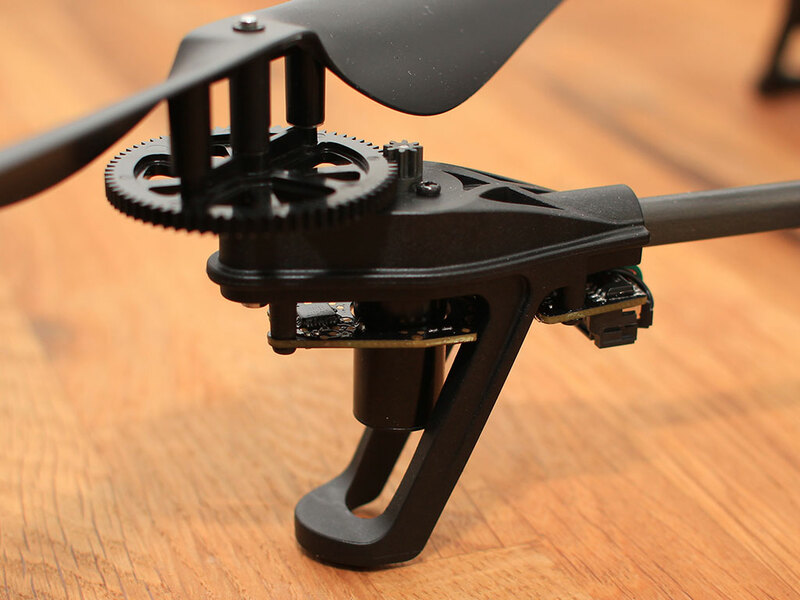 Virtually everything on the AR Drone 2.0 is brand new and is NOT, I repeat NOT compatible for the original AR Drone. The only thing that seems to remain the same is the main drive gear and the propellers, although they did say there is a change to the propellers as well. The cross member is all new and will not fit into the original AR Drone nor will any of the electronics boards. Even the motors are new. So what should you do with your original AR Drone? Well…keep flying it. The new AR FreeFlight 2.0 software WILL be compatible with the AR Drone 1.0. Expect the new software to arrive when the AR DRone 2.0 ships which is “sometime in Q2” which translated to “sometime between April and June”. 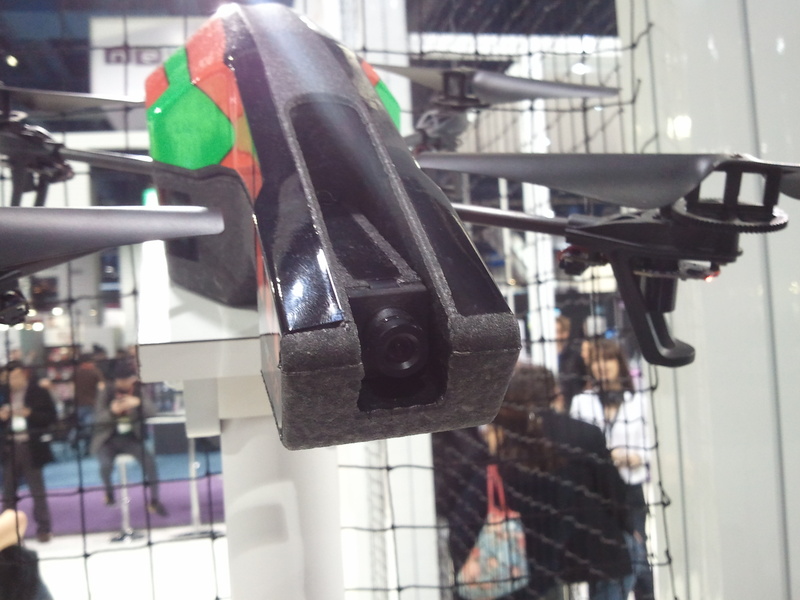 Given that it is only January right now, don’t expect to see the AR Drone 2.0 flying near you for another 4 – 5 months. Until then, here is some video I shot during CES and no, you cannot do flips and rolls with the AR Freeflight 2.0 software. ust like the current software if the AR Drone has too much of a tilt, the Drone’s motors will shut off. These demos are done with custom firmware designed for the shows.